There's one layer of Rubber Glue on top of the Mayler or EMI. 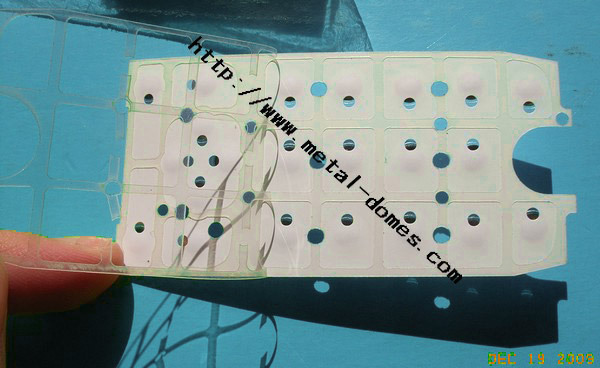 It has special Plastic performance and can be tightly stick on Keypad or PCBs. Because material of adhesive is Silicone, so it also named Silicon or Acrylic PSA adhesive tape. Click to view datasheet of one of normal Rubber Glue materail used in our top adhesive metal dome array.